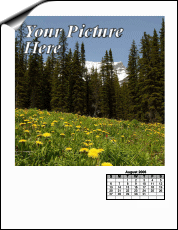 Add that personal touch with your photos, logos and more. 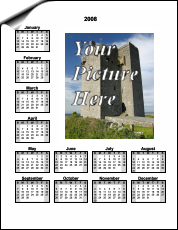 A monthly portrait calendar with room at the top for a picture. 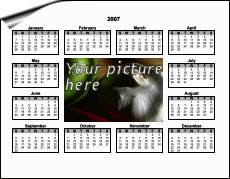 A yearly portrait calendar with room on the top for a picture. 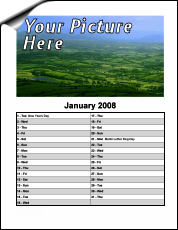 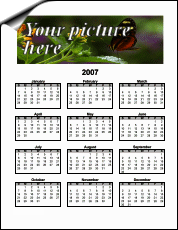 Personalize this yearly calendar with a picture of your choice. 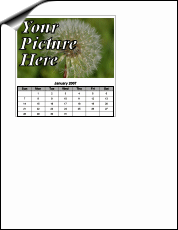 This monthly calendar has room for a picture and fits within the cover of a CD. 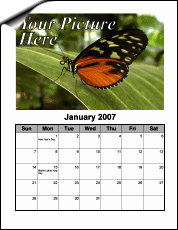 Contains a line for each day of the month.